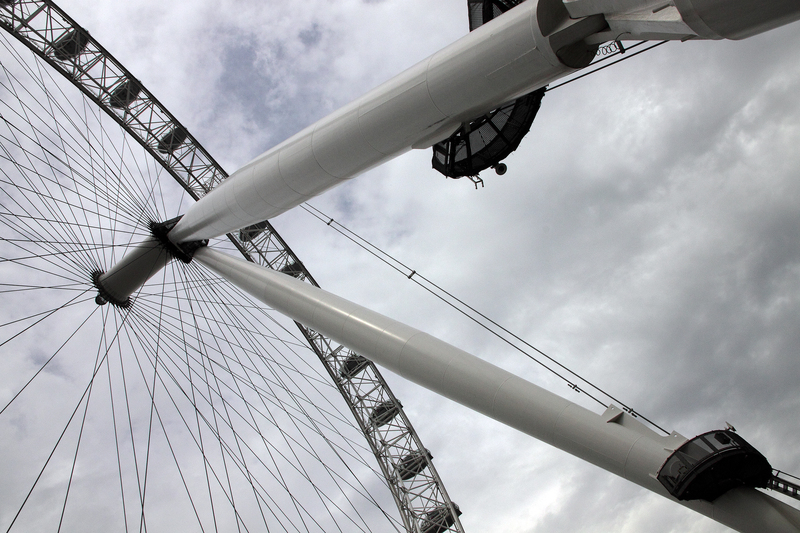 The structure of the London Eye presents very strong graphic elements. The supports are actually diagonal and I emphasized these here by tilting the camera slightly and using a wide angle lens (17mm). The converging diagonals also form a triangle. 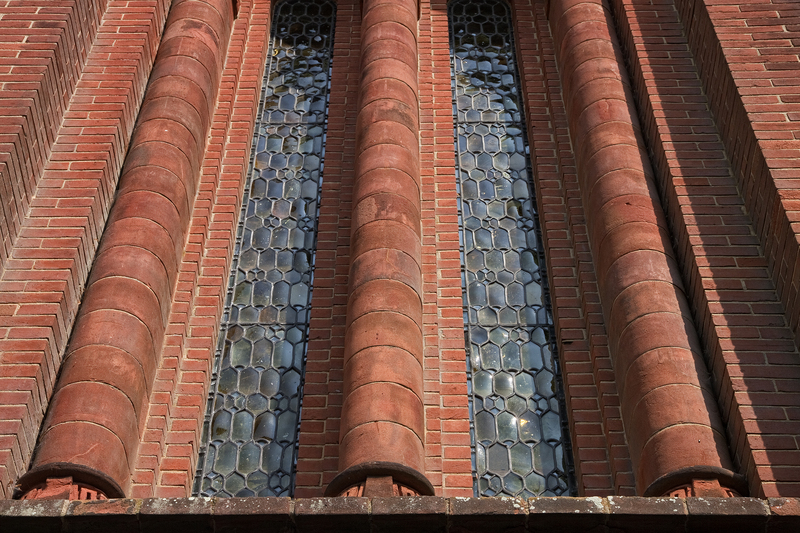 A close-up shot of the window pillars of Watts Cemetery Chapel in Compton, Surrey. (http://www.wattsgallery.org.uk/visitor-information/watts-chapel). Here I tilted the lens (38mm) upwards so that the vertical lines converge and also create a greater sense of height. Again at Watts Cemetery. 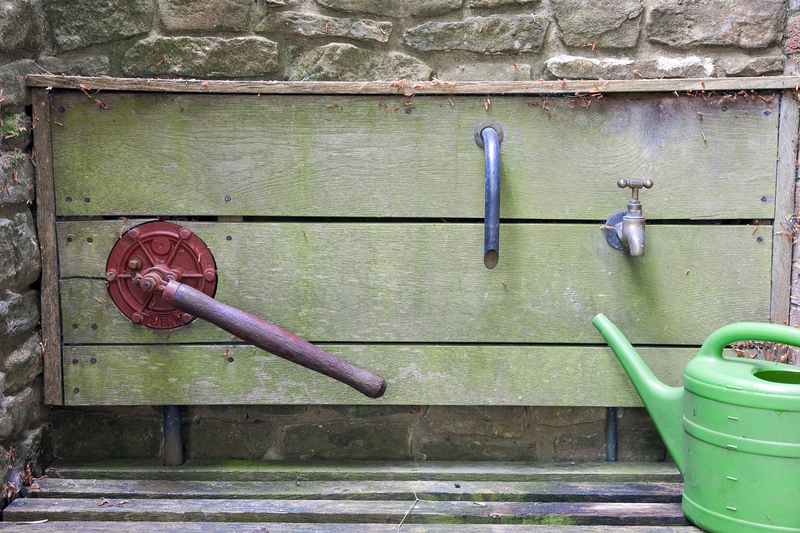 I was immediately attracted to the red diagonal pump handle and the green spout on the watering can. 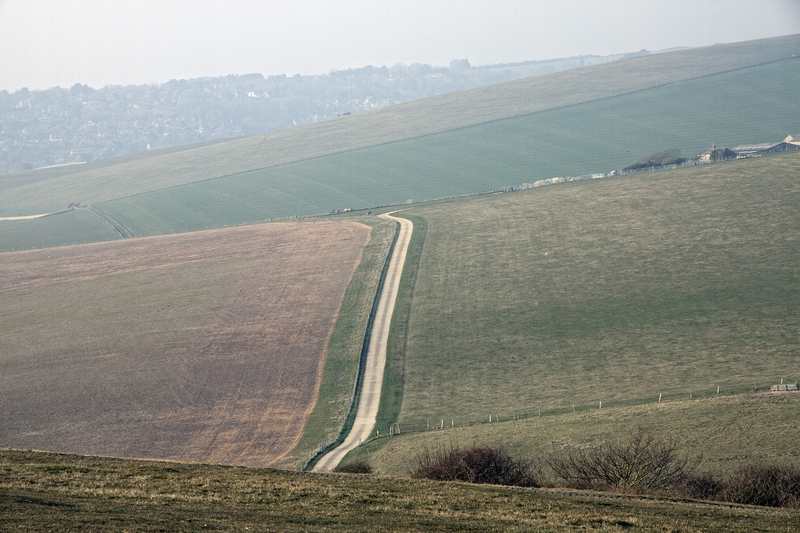 Patchwork fields in Seaford, East Sussex. I was standing on the cliffs by the sea and looking downwards. I used the tripod and set my lens at 84mm so that the perspective was compressed. These are softer diagonals set off by the different colours of the landscape.